Bradford has locked up junior hockey veteran Shayne Salmon to a one year contract. Salmon, 21, has spent the last three seasons playing Junior ‘A’ hockey in the OJHL. The 6’2” right winger hails from Orillia, Ontario and brings a very physical element to the Rattler’s line-up. Salmon has spent each of the past three seasons playing in the OJHL. He began his career with the Seguin Bruins (OJHL) in 2008-2009, but really developed into a complete player following a trade to the Couchiching Terriers (OJHL). Shayne spent two seasons as a fan favorite for the squad before moving to the Georgetown Raiders (OJHL) last season. In 89 junior games, Salmon has recorded 8 points and 183PIMs. While playing for the Couchiching Terriers, Shayne received the award for the team’s ‘top hitter’. Even his nickname while with the Terriers was “crash and bang.” Several articles in the past have been written about the presence and energy that Shayne can bring to the ice. Not to mention, coaches have been quoted in the past calling him a “class act off the ice.” On such a skillful Rattler team, Salmon’s physicality and grinding style of play will be an intangible asset. Shayne’s brother, Matt Salmon, plays NCAA III hockey for Morrisville State College. Ironically, he is the teammate of two former GMHL players. 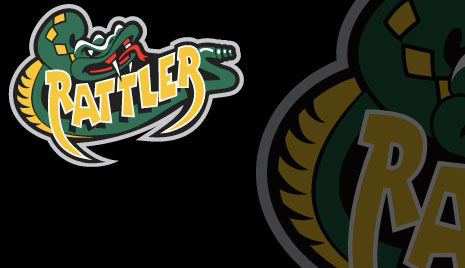 Will Scott (Bradford Rattlers) and his goaltender Matthew Treadwell (Innisfil Lakers) are two of his College teammates. To make the roster space for Salmon, Bradford has also moved forward Kyle Blohm to the Temiscaming Titans. The 21 year old forward was second in team scoring with 24 points (14g, 10a) in 21 games. Blohm will give Temiscaming some secondary scoring to compliment their top line. The Bradford Rattlers would like to wish Kyle the best of luck with his new team, and thank him for his time with the Rattlers. Bradford will be continuing their season this weekend with games against Mattawa and Orangeville. After such, Bradford will have a few weeks off as a holiday break. First, on Friday (Dec. 16) Bradford will make the road trip down to Mattawa and take on the Voyageurs. This will be followed by a home game on Sunday (Dec. 18) against the Orangeville Americans. The game will be at Bob Fallis Sports Centre, with a puck drop of 7:30pm. In these clubs’ last meeting, Bradford overtook Orangeville 5-3.